Last night I sat thinking about riding into work Monday morning. It is October and in my part of the world we are fully into the fall season. About half of the trees have already she’d their leaves and the other half is not too far behind. 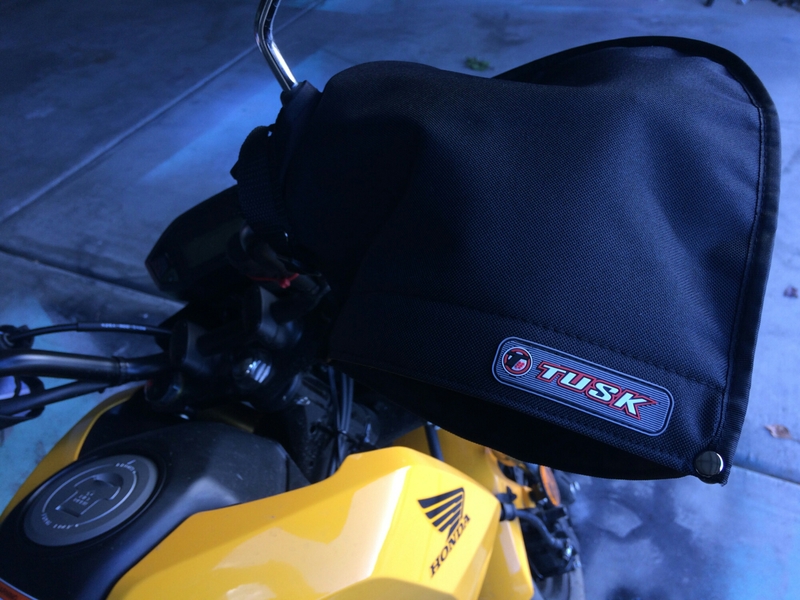 The mornings are cold in the 40s and that means pretty cold at 35-45 MPGS on the Grom. I have found my jackets do pretty well at this temperature, but my gloves do not. 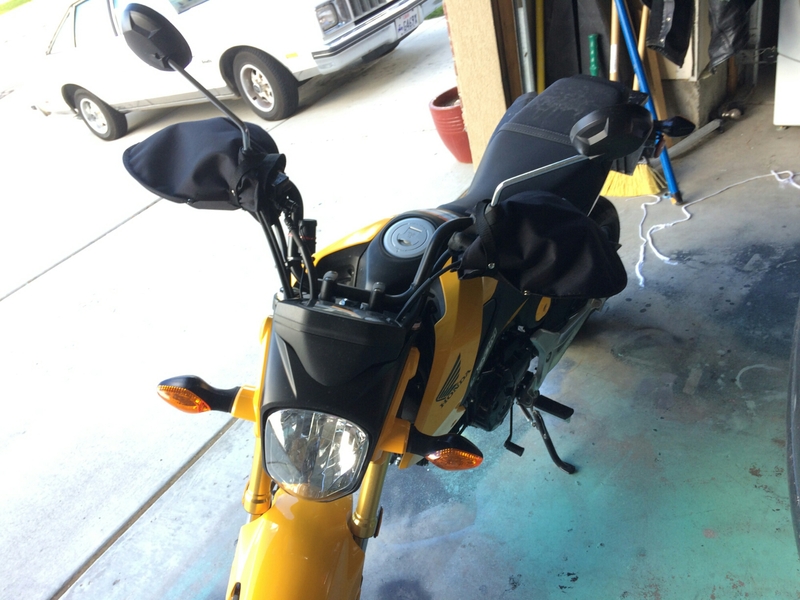 And so I had been thinking if I’m going to ride the Grom 4 seasons I need some help. Today’s forecast was 40s and rain :(. These were a brilliantly simple idea to block out the troublesome cold wind and thereby keep the old Fingers warm. I found a version of these by Tusk on ebay for $20 and figured I would give them a try. 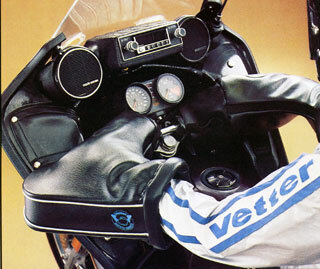 Very simply they slip over the grips and levers to protect the hands from the wind. They work, not great, but definitely make a difference. There is another brand out there that has wool like material inside (like Vetter’s) that I would like to try next as well. The Hippo Hands require some getting used to, and I do still wear gloves, but my hands are much more comfortable in the cold so far. I would five the Tusk ones 7/10. 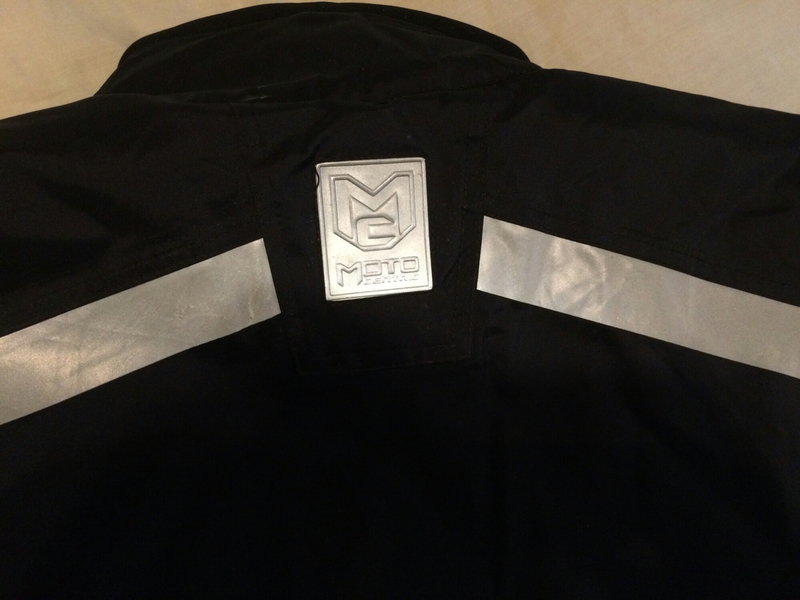 Next item needed for all weather motorcycling is the Moto Centric waterproof cold protecting suit. I have been looking for an excuse to get a sweet looking jumpsuit for years. These list at $200, but I got mine on special from Motorcycle Superstore for $69.99 and free shipping. In agreement with the online sizing recommendations I got an XL. It is too long in the legs for my 5’10” frame, but works fine with boots and the size will allow for another jacket with armor to be worn underneath if desired. The material seems durable in all the right places and the waterproofing, as I learned today, works great! Pockets will protect your wallet and garage door opener from the wind and wet, and the only draft I felt was up from my boots and that was simply operator error as I did not get the velcro tight enough. 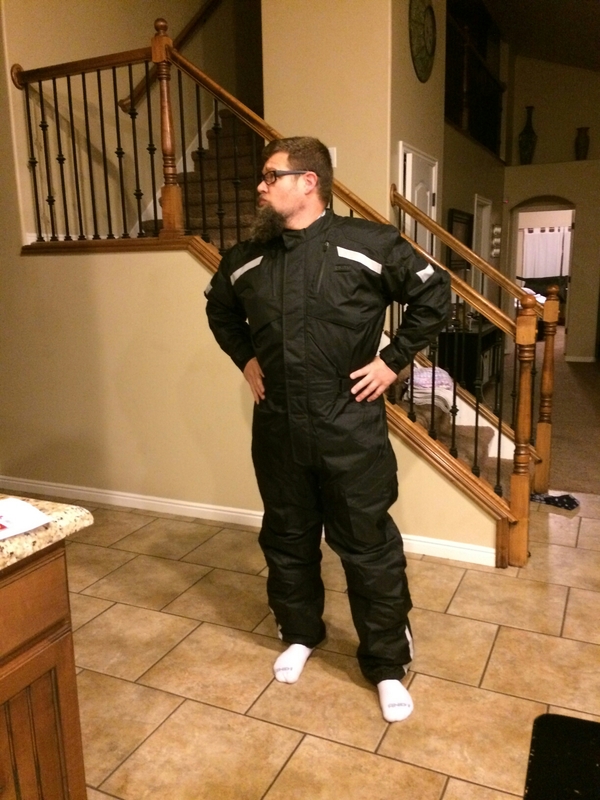 I am pretty confident this suit will keep me warm and dry during my 25 minute commute to and from work. I don’t know how long the reflective paint will stay on the suit, but for now it is great. With my Hippo Hands and Moto Centric suit I was pretty comfortable, but the best part of the day was riding home and passing another Grom rider coming the other direction. He stuck his hand out so far pointing at me in excitement that I thought he might fall off the bike, truth be told my arm was out just as far signaling “hang loose.” If you don’t get small motorcycling you probably won’t get this, but it was beautiful. I was left thinking how much fun Honda has brought the world through its innovative machines. Oh, one more little note, I filled up the other day after taking the wife on my first 2 up ride on the Grom and I got 126 MPG. Just makes me smile.